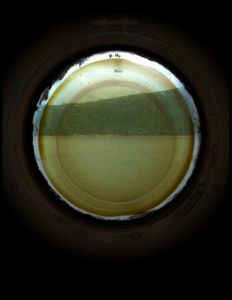 These images were taken from a ship sailing the St. Lawrence River from Îles de la Madeleine to the Port of Montreal. 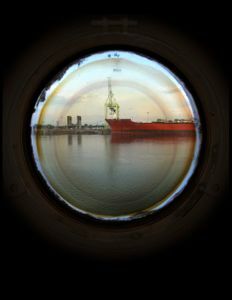 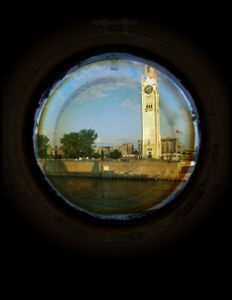 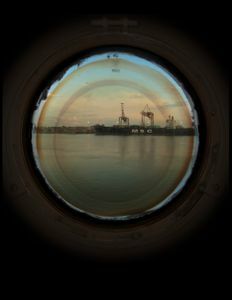 In these works the porthole acts as a viewing device mimicking a lens, isolating observation and the movement of the ship. 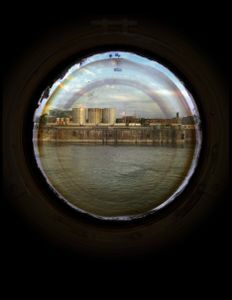 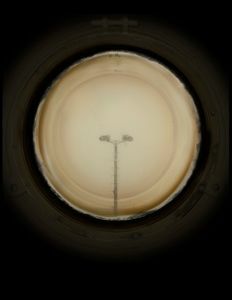 The colourations and markings on the images are due to the thickness of the glass in the porthole, combined with the effects of salt water and weathering. 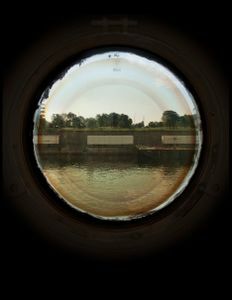 The porthole replaces the framing mechanism of the camera, while the movement of the ship provides a constructed vantage point for viewing. Most of the images were taken at dawn before the city had gained consciousness. 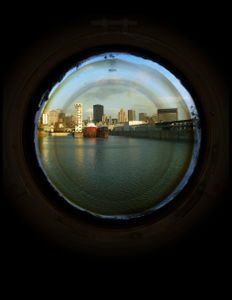 The shadow of the ship is often seen in the images, imposing itself and its movement on the buildings. 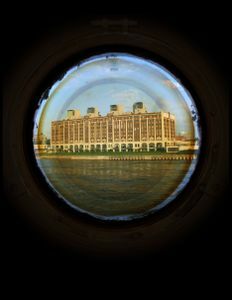 The buildings are familiar historical icons that are being transformed to new uses in many Canadian port cities. This work suggests a nameless place, a place of transitions and passages.